Pvt. Warren Cannon, son of Mr. and Mrs. Joe Cannon, attended school in Frederick. Entered the Marines in March 1944, trained in San Diego, Camp Pendleton, Cal. 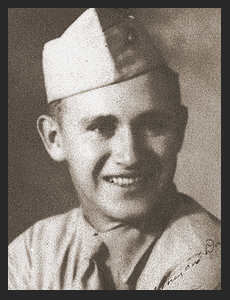 ; went overseas in Sept. 1944; served in Hawaii, Iwo Jima, Japan. Awarded Asiatic Pacific Ribbon, Victory Ribbon.